Jonathon Blum, 24, signed with the Wild as a free agent in the offseason. The Minnesota Wild added some depth to their blue line before hosting the St. Louis Blues on Tuesday night. Minnesota recalled defenseman Jonathon Blum from the Iowa Wild of the American Hockey League on Monday. 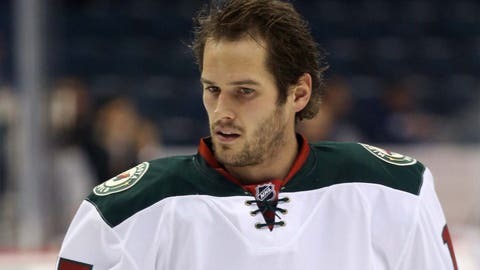 Blum, 24, signed with the Wild as a free agent in the offseason. He’s has three goals and 13 assists in 29 games with Iowa this season. Blum, originally a first-round draft pick in 2007 with the Nashville Predators, had seven goals and 15 assists in 91 NHL games in three seasons with Nashville.